A dependable 3-year warranty provides peace of mind. Designed for guaranteed compatibility with Dell, Compaq, IBM and HP servers and systems. Compatible with all notebook computers. Compatible with Compaq Alpha systems. "Keep-alive" feature draws power from PC keyboard ports if power is lost. Switch will continue to operate during a power outage retaining complete control of all connected systems. Rugged, all-metal 1U chassis for use in harsh environments and space-saving cabinets. 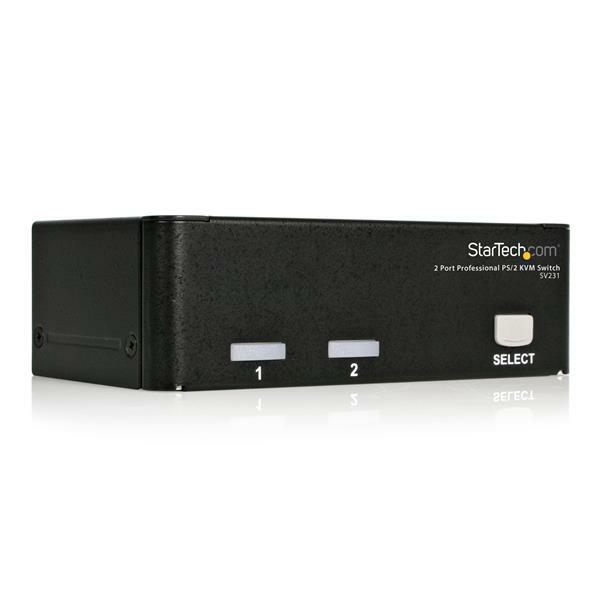 Fast switch-buttons for each port provide quick access to any connected system. High 1920x1440 resolution capability supports the most demanding applications. Completely operating system independent. No software or drivers required. 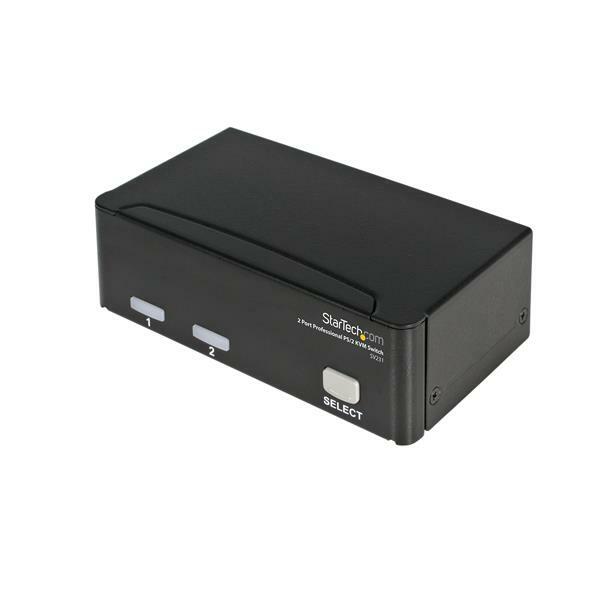 This 2 Port PS/2 KVM Switch is a reliable computer management tool that allows you to control multiple computers from one source, minimizing downtime by making connected computers and input devices available as soon as they are attached. This sturdy PS/2 KVM Switch features an all-metal, 1U chassis that adds to the unit's reliability and dependability. Powerful features that increase usability.